Home Tags Posts tagged with "adama barrow"
Gambian President Yahya Jammeh’s term has been extended by 90 days after the parliament declared a state of emergency in the crisis-hit West African country. Yahya Jammeh’s term is due to end on January 19 following his defeat in elections by Adama Barrow. Regional leaders have threatened to use military force to oust Yahya Jammeh if he refuses to hand power to President-elect Adama Barrow tomorrow. Thousands of tourists are being evacuated from The Gambia. The Gambia is popular with European holidaymakers because of its beaches. The country was plunged into crisis after Yahya Jammeh rejected Adama Barrow’s shock victory in the December 1st election. Yahya Jammeh said security forces were instructed to “maintain absolute peace, law and order”. The US State Department urged Yahya Jammeh to transfer power to Adama Barrow on January 19. Spokesman John Kirby said: “Doing so would allow him to leave office with his head held high and to protect The Gambian people from potential chaos. Regional bloc ECOWAS (the Economic Community of West African States), has prepared a Senegal-led force to oust Yahya Jammeh if he refuses to step down. The African Union has warned that it will not recognize Yahya Jammeh as president after January 19. Adama Barrow, a property developer, has been in Senegal since January 14. His aides said he would return to The Gambia for his inauguration. Last month, Adama Barrow said he would be sworn in at a ceremony organized by his transition team, raising the possibility of two rival presidents. Yahya Jammeh’s declaration of a state of emergency was seen as an attempt to block the ceremony, scheduled to take place at a stadium in Bakau town, west of the capital Banjul, from going ahead. 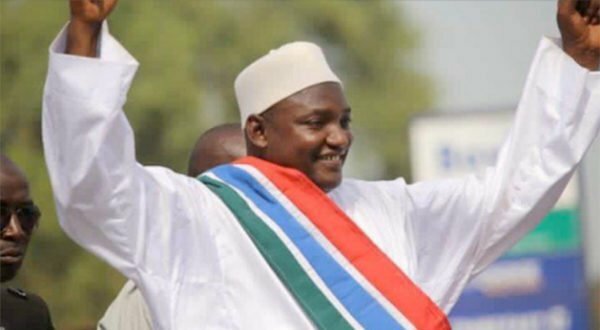 Adama Barrow could, technically, also be sworn in at The Gambian embassy in Senegal. Thousands of Gambians, including women and children, have been fleeing to Senegal and further afield to Guinea-Bissau, fearing unrest. Yahya Jammeh has ruled The Gambia since taking power in a bloodless coup in 1994. The Gambia regularly held elections, which he won until his shock defeat in the latest poll. Yahya Jammeh has said there were irregularities in the election process, including the turning away of some of his supporters from polling stations, and errors made by the electoral commission. The commission accepted that some of the results it initially published contained errors, but said Adama Barrow had still won. Retaining power would also ensure Yahya Jammeh was not prosecuted in The Gambia for alleged abuses committed during his rule. The Gambia’s electoral commission headquarters have been taken over by security force as incumbent President Yahya Jammeh refuses to accept his loss in recent elections. Yahya Jammeh initially conceded defeat to Adama Barrow in a recent poll and then changed his mind. Visiting West African leaders have met Yahya Jammeh to try to persuade him to step down after 22 years in power. The leaders of Nigeria, Ghana, Liberia and Sierra Leone are all in The Gambia for talks with Yahya Jammeh. A senior official of regional bloc Ecowas, Marcel de Souza, would not rule out sending in troops. Yahya Jammeh’s ruling APRC party filed a petition on December 13 with the Supreme Court, asking it to annul the election results. The incumbent president had questioned the validity of the count after the electoral commission changed some results, even though it insists the outcome was not affected. The commission said Adama Barrow obtained 222,708 votes (43.3%) compared with Yahya Jammeh’s 208,487 (39.6%). A third candidate, Mama Kandeh, won 89,768 votes (17.1%). Gambia’s army chief Ousman Badjie has seemingly reversed a pledge of support for Adama Barrow, the AFP agency reported, arriving at talks wearing a badge featuring Yahya Jammeh’s face on his uniform. Gambian incumbent President Yahya Jammeh says he will launch a legal challenge to contest an election defeat that will bring an end to his 22-year rule. Yahya Jammeh initially conceded after rival Adama Barrow won last week’s vote, but then backtracked on December 9, saying he “totally” rejected the result. The United Nations Security Council has demanded Yahya Jammeh accepts defeat. The streets remain calm despite a heavy army presence in the capital Banjul. Yahya Jammeh’s Alliance for Patriotic Reorientation and Construction party announced on December 10 that a petition will be filed to The Gambia’s Supreme Court. By law, election results can be contested up to 10 days after the vote. President-elect Adama Barrow said on December 11 that he feared for his safety. He had previously accused his rival of damaging democracy by refusing to agree to hand over power. Yahya Jammeh, who took power in a coup in 1994, has cited “abnormalities” in the vote and wants a re-run. Gambia’s incumbent President Yahya Jammeh has rejected the result of the presidential election held earlier this month, a week after admitting defeat. Yahya Jammeh, who took power in a coup in 1994, cited “abnormalities” in the vote and called for fresh elections. He was defeated by Adama Barrow, who won more than 43% of this month’s vote. Adama Barrow accused Yahya Jammeh of damaging democracy by refusing to accept the result. His transition team said the president-elect was safe. The results were revised by the country’s electoral commission on December 5, when it emerged that the ballots for one area were added incorrectly, swelling Adama Barrow’s vote. The error, which also added votes to the other candidates, “has not changed the status quo” of the result, the commission said. However, it narrowed Adama Barrow’s margin of victory from 9% to 4%. Yahya Jammeh said that he now rejected the results of the election “in totality”. “After a thorough investigation, I have decided to reject the outcome of the recent election,” he said. Adama Barrow’s spokesperson said the head of the army, General Ousman Badjie, supported the president-elect, having pledged his allegiance after the initial result. The US has “strongly condemned” Yahya Jammeh’s rejection of the result. The streets of the capital, Banjul, were reported to be calm on December 9 although soldiers were seen placing sandbags in strategic locations across the city, AFP news agency reports. Only last week, Yahya Jammeh was shown on state TV calling Adama Barrow to wish him well. “You are the elected president of The Gambia, and I wish you all the best. I have no ill will,” he said at the time. Adama Barrow, a property developer, is due to take office in late January. 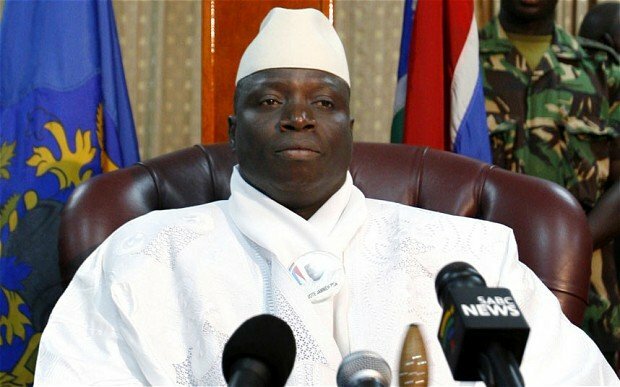 In his 22 years in power, Yahya Jammeh acquired a reputation as a ruthless leader. Gambian President Yahya Jammeh has suffered a surprise defeat in the country’s general election. The authoritarian president for 22 years will be replaced by property developer Adama Barrow, who won more than 45% of the vote. Yahya Jammeh, who came to power in a coup in 1994, has conceded, said electoral commission chief Alieu Momar Njie. Before announcing the final result, Alieu Momar Njie appealed for calm as Gambia entered unchartered waters. The African country has not had a smooth transfer of power since independence in 1965. Mr Barrow won 263,515 votes (45.5%) in Thursday’s election, while President Jammeh took 212,099 (36.7%), according to the electoral commission. Adama Barrow, who runs his own property company, reportedly used to work as a security guard at an Argos department store on London’s Holloway Road. On the electoral campaign, he promised to revive Gambia’s economy, which has forced thousands of Gambians to make the perilous journey to Europe. A devout Muslim, Yahya Jammeh, 51, once said he would rule for “one billion years” if “Allah willed it”. 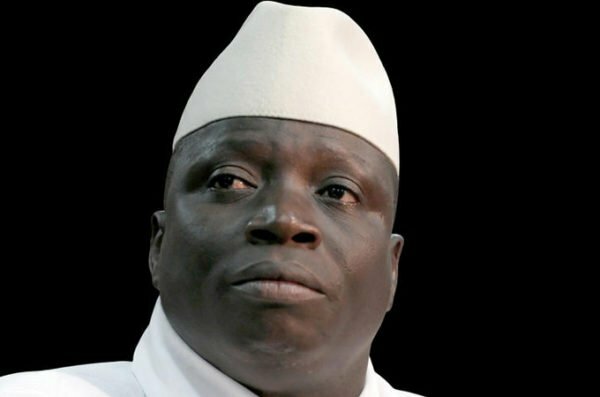 Human rights groups have accused Yahya Jammeh, who has in the past claimed he can cure AIDS and infertility, of repression and abuses. Several previous opposition leaders are in jail after taking part in a rare protest in April. Observers from the EU and the West African regional bloc Ecowas did not attend the vote. Gambian officials opposed the presence of Western observers, but the EU said it was staying away out of concern about the fairness of the voting process. However, the African Union did dispatch a handful of observers to supervise the vote. The Gambia, a tiny country with a population of fewer than two million, is surrounded on three sides by Senegal and has a short Atlantic coastline popular with European tourists.